Isei Namacamaca (right) grows lettuce and other vegetables in the highlands. Bevatu Settlement, Nadrau, Viti Levu, Fiji. I stopped off in Fiji for a few days last week before arriving in Samoa for the Third International Conference on Small Island Developing States. I wanted to see some of the work that IFAD is doing in the country. Through the Partnership in High Value Agriculture Project (PHVA), farmers are learning to grow a variety of produce and to tap into the high-demand tourism and hospitality market. from the project. 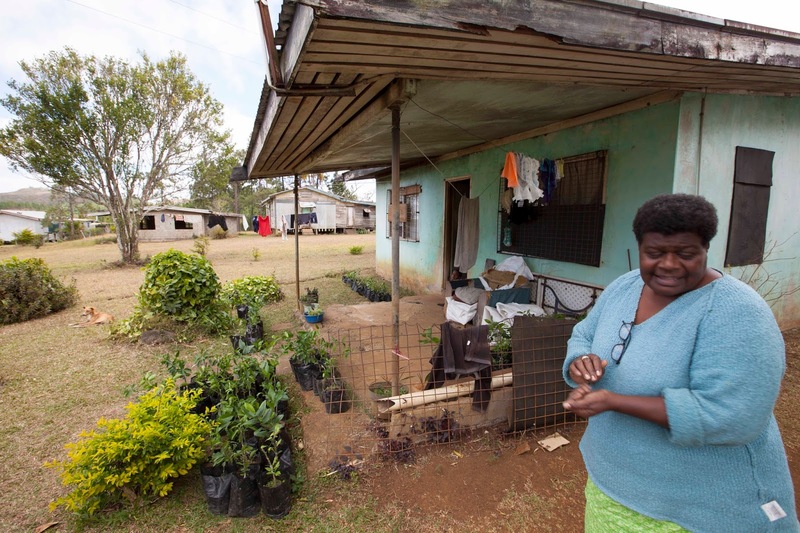 The group cultivates fruits and vegetables to improve their family's diet. Poor nutrition and dependency on food imports is a typical condition on small islands in the Pacific. The project, together with partner NGO's and the Ministry of Agriculture, is addressing these issues by helping smallholder farmers to diversify their crops and become more food sufficient. 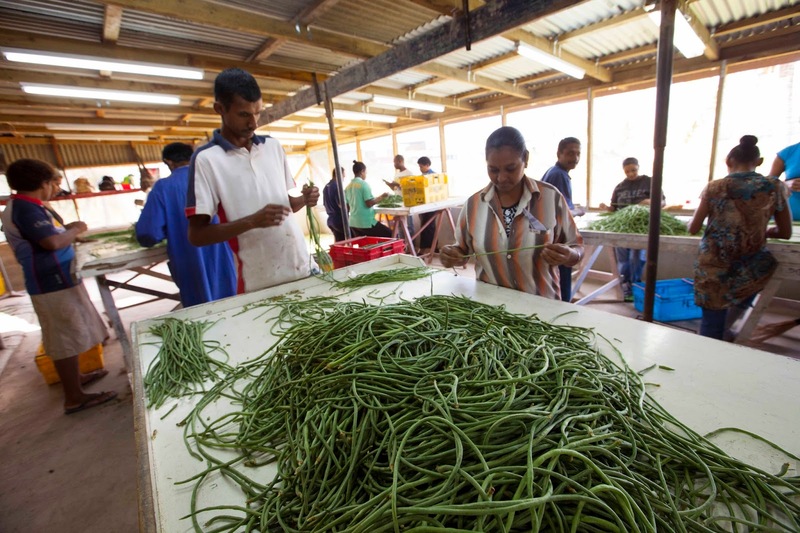 A commercial farm in Sigatoka sells produce directly to buyers from the hospitality industry. 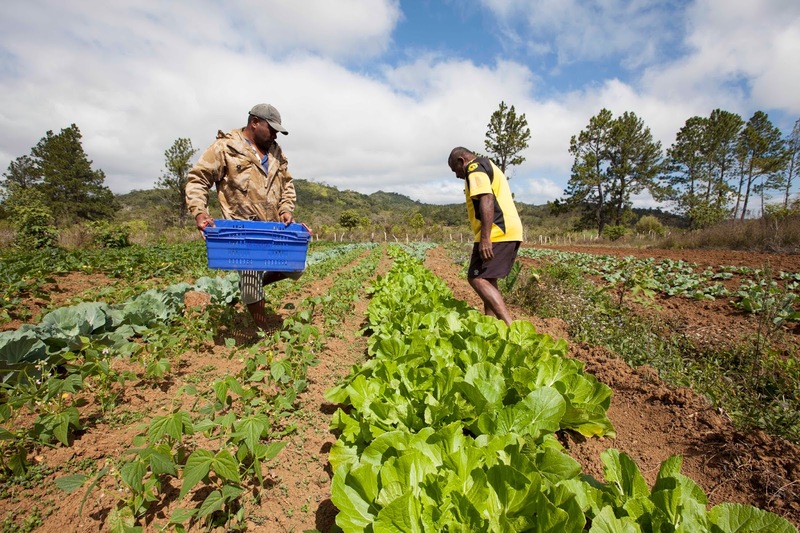 Migrant farmers work on a commercial farm in Sigatoka to learn new farming techniques that they will bring back to their own small farms in other parts of the country. This commercial farm sells produce directly to hotel buyers. Hotels on the island have a high demand for a variety of fresh fruits and vegetables all year round. The project has helped the owner of this farm to set up irrigation systems that use less water, given the water constraints on the island. Monasa Trading is a privately-owned company that was set up in 2010. 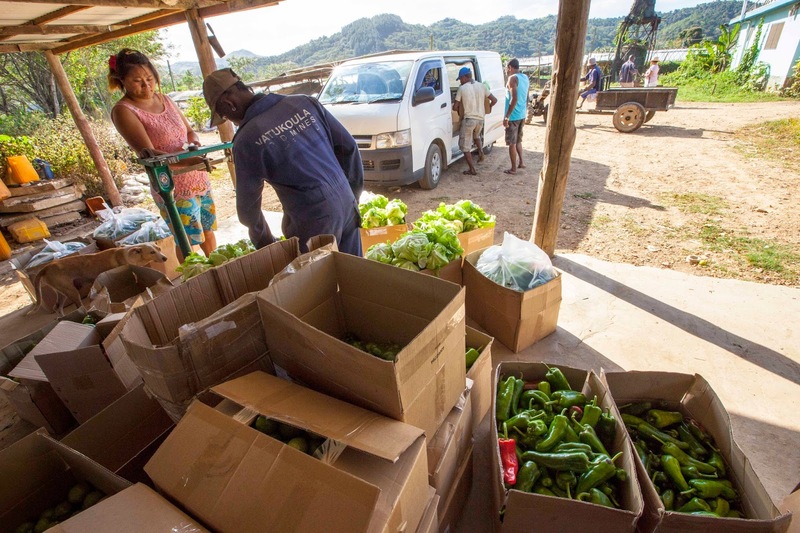 It buys produce directly from farmers in and around Sigatoka. They prepare and package the produce and sell it to companies in New Zealand and Canada. The project helps Suren Kumar, owner of the company, to meet export standards and to work efficiently with local farmers. He exports 10 - 15 tons of produce per week. 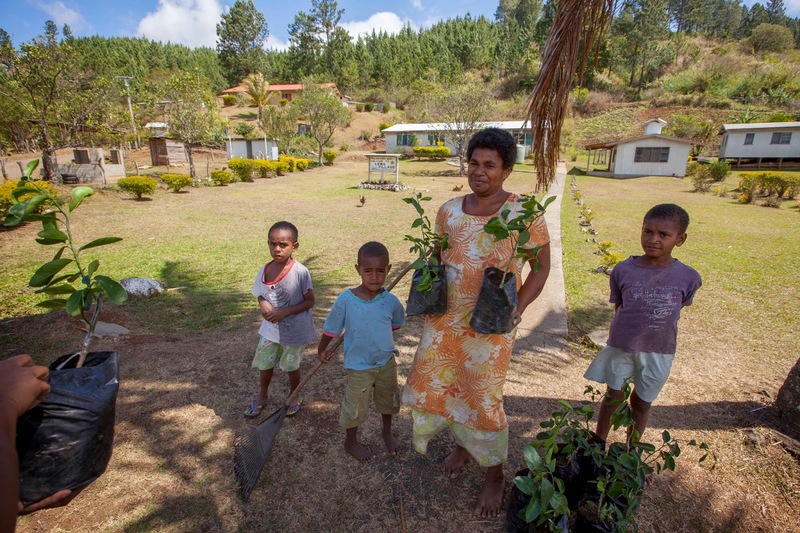 In places like Fiji, a little bit of support and technical guidance can go a long way. Small island states deserve our attention, not just as tourists but as development partners as well.